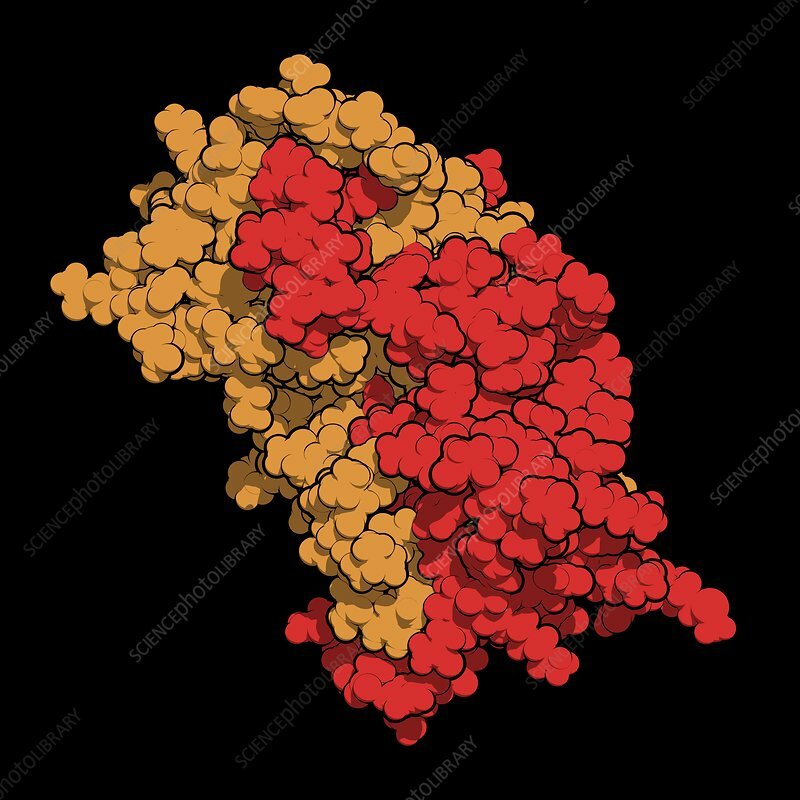 Interferon gamma (IFNg) cytokine molecule, chemical structure. Recombinant form used in treatment of osteopetrosis and chronic granulomatous disease. Space-filling model. Chains shown in different colours.